Every slot has a Max Win available, and that number is usually the number that drives us towards the slot game. We are all looking for a game with good graphics and design, with fun gameplay and symbols around which we feel pretty comfortable playing, but we have to admit something to ourselves; if we wanted a top-notch and high-tech graphics and design, we would rather play some of the latest games available on Steam for example. We are playing Slots because of the anticipation of the money and the rewards we are receiving after playing a slot game (if we are lucky, that is). 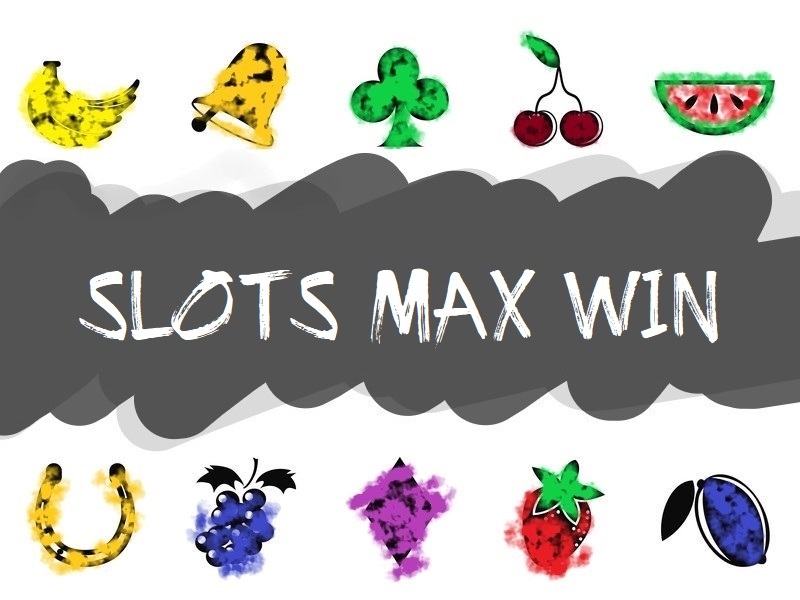 Slots Maximum Win, or also known as Max Win, Max Base Game Win, or sometimes as Max Jackpot (this is different from non-progressive jackpot) is the thing that grabs our attention most and calls us to spin the reels even on the most simple three reeled slot games with one payline. In this article, we will explain what the Max Win is and how to get the most out of it, so stay tuned. Simply put, it is the maximum amount that you can win (neglecting the non-progressive and the Progressive Jackpot) of a slot game. It is present in the base game or in some of the Bonus Features of the same game, decided by the creating company which reflects their image. This maximum win is usually closely connected with the Denomination that you are playing with, the level of the game and the coin value, as well as the number of Paylines active. The more of the above features are active, the higher your maximum win will be, simply because almost all of the slot games have decided to put a Multiplier as their highest form of a win. How to See the Max Win in a Slot Game? Usually, the Max Win will be presented to you by the site that you are playing the slot game at, as it is never presented inside the slot game itself. After reading the review or finding the key information of the slot game on the site that you are playing, you will be familiar with the Max Win of the slot game. We, at Gate Slots, have a table with the key information on the side of every slot game review, and you can’t miss the Max Win that the slot game gives away. Fishin’ Frenzy and Tiki Island slot are the best example for this. The RTP plays an important part in the payout of the slot, and it is always presented in percentages. The RTP indicates the amount of cash that the slot machine returns to the players of the same. Learn about the RTP on our Detailed RTP Guide. The denomination is also a crucial factor, and the higher range of denomination means that the slot game is ready to pay out more than the ones with a lower denomination. Level of the game can play a part in the payout as well, as the higher level you play at, the higher the risks but higher the prizes at the end of the day. After all, we are playing slots to entertain ourselves, AND to win some major and life-changing prizes. The entertainment part is also important, so try to find a niche of a game that suits you the best before jumping and embracing a slot game. Our Beginner’s Guide to Online Slots has all the information available if you are a newcomer and want to pull the lever of the online version of the one-armed bandits for the 1st time. As a conclusion, here is a huge base-game Max Win that we found on the internet, simply to make your guts shaking and to see what you are up to if you decide to play slots. Find the video Here. After finding a proper game from our selection of Slots, make sure you pick a casino and deposit for the 1st time to get the welcome bonus of the casino. You are now ready for the Maximum Win that the slot offers!